Being a popular hill station in northern India as well as the capital of Uttarakhand, Dehradun attracts visitors from all parts of the country. However the city has one more important aspect to it, superior quality school education. The city features around 300 schools which are known for their high standard of education all across the country. Many of these schools have been affiliated to the Central Board of Secondary Education (CBSE). With so many top quality CBSE schools, Dehradun is fully geared up to fulfill the education requirement of your kids. These schools are also popular because they have produced several film personalities, athletes and celebrities. Today, a lot of people dream of educating their children in the top ranking CBSE schools of city Dehradun. Given below is a list of all the popular CBSE schools where you can have your children enrolled. ‘Namaste Dehradun- The Encyclopedia of Dehradun’ always strive to provide you authentic information so you can make a well informed decision about your child’s career. Namaste Dehradun provides you the complete and updated latest list of Top 5 CBSE Schools in Dehradun. The Asian School offers English medium, secular, co-educational education from classes Nursery to XII. The school is affiliated to the Central Board of Secondary Education. 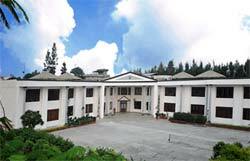 The school is situated on a 14 acres campus, ‘Asian Acres’, in tranquil and verdant envious. The students are housed I three separate hostels- one each for junior boys, senior boys and girls. A 25 sq. mtr swimming pool, table tennis and badminton halls, gymnasium, three larger sports fields, dinning hall, activity rooms and leisure pursuits for the children in their spare time. Doon International School is a leading co-educational, day and residential school, situated in the Dehradun Valley. The school is in fact and spirit an international school, catering to the needs of students from all parts of the world. The courses of study as well as norms of achievement in every field are aimed at preparing our students for educational qualifications acceptable throughout the world. The academic curriculum for the school student is based on syllabic laid down by the reputed and universally acceptable Central Board of Secondary Education (CBSE), New Delhi. Doon International School is run by a registered, educational, non-commercial, not for profit society consisting of committed educationists and social workers of high standing and repute. Over the years, the school has established a sound reputation as a provider of quality education and is recognized amongst the prestigious schools of the country. D.A.V Public School, Dehradun is a co-educational English medium school started by the D.A.V College Committee to cater to the president demands of the people of Dehradun. The school started with classes from Nursery to VI in its first year (1989). It has a beautiful building in a pollution free environment with large play ground. Well equipped computer IT, H.Sec., Science laboratories library & Qualified teachers provide holistic education to the future citizens of India. The Doon Global School is a co-educational, residential and day school. 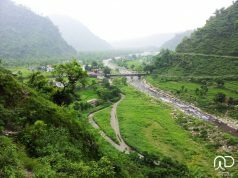 It is situated on the banks of river Tons in Dehradun city, amidst healthy and beautiful surroundings facing the queen of hills, Mussoorie. Lush green campus situated on N.H. 72 and in pollution free open area on the foothills of Shivalik range of the Himalayas, which makes it an ideal location for residential school. It is registered under the Societies Registration Act XXI of 1860 and is affiliated to Central Board of Secondary education, New Delhi. JMS Established in 1949 with the blessings of his Holiness Sri Swami Sivanandaji Maharaj of the Divine Life Society. The School is affiliated to the Central Board of Secondary Education. The school is situated at Parson’s Estate, 91, Rajpur Road, Dehradun, amidst healthy and beautiful surroundings facing the Mussoorie Hills. It is located in an open space which is neither very far from the city nor amongst the congested areas.